Fabric: Zweigart, Country Mocha 28ct. Threads: WDW(Rust, Williamsburg Red, Cocoa, Kudzu), TGA (Evergreen, Adobe, Tin Bucket, Aged Pewter) 1 over 1. It's me, again! Sorry! 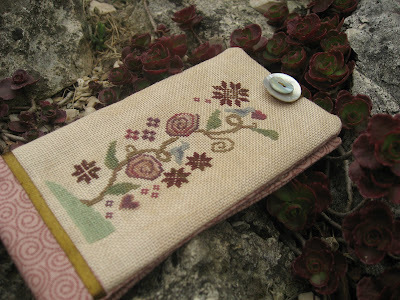 ;) Here is my first needlebook! What a lovely finish! Love the colors and fabric. Don't be sorry...we are here to share...Love this it is Beautiful..
Don't be sorry. 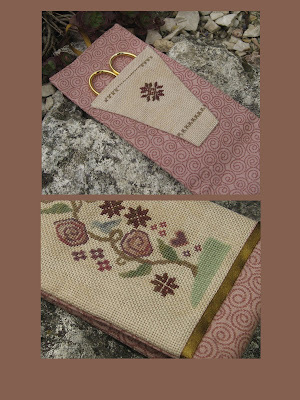 It's a fabulous needlebook!